Find hotel near Valley Of Flowers - Hemku ..
A primary pilgrimage location and a holy place for Sikhs, Hemkunt Sahib is surrounded by seven mountain peaks and features a valley of flowers just minutes away which has been designated as a national park by the Indian government. 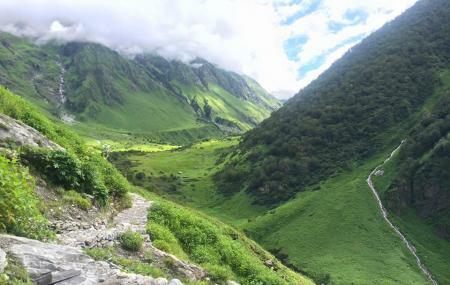 Best visited during July and August, the valley is blanketed with bright flora and rare animals making it a popular place among the tourists. A significant flower found here is the Brahma-kamal which is said to blossom every 12 years. This perfect picturesque setting also serves as the starting point for the Himalaya trekkers and is ideal for nature lovers.